Dollhouse Bed. Then begin thinking of any topic associated with this idea and go from there. When you think of the topic doll bed .. What would go well with one? Visualize, in your mind, your own bed and bedroom. Begin shrinking all the mini accessories that would go with it. Recently I studied the most amazing bedroom scenes. Some were mini and some may not have been. The details regardless were awe inspiring. 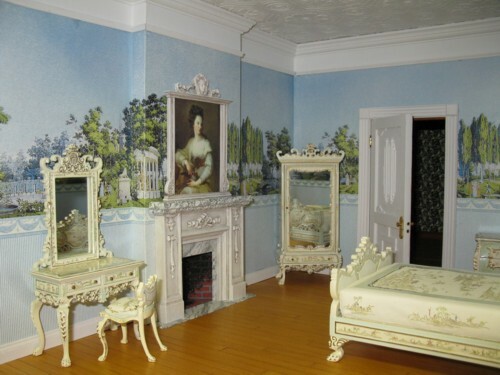 If only my own bedroom was so intricate. These people have thought of everything. And that is exactly what you have to do. To get life-like designs that is what you will have to think of. Everything. And then go the extra mile to make it truly yours. Step #1: Study all the details of the following pictures. They were on the net. I am using them as our examples. Click on any picture to open it up and view it in the larger frame. That way you can study everything you will need to do to make an amazing dollhouse bed and bedroom of your own. Step #2: Now break everything you have found that you would like to make or buy into lists. What will it really take to get those minis in your miniature? Be sure to think of everything necessary. Include everything down to the finest detail. This mindset will guarantee that you will come up with your best design ever! Your aim is to make it look exactly like the full sized version. We start with the original measurements of 80 inches by 82 inches. My queen size comforter in real life. To convert that we will need to resize it for a miniature display. One of 1:12 scale to be specific. So we head on over to enter our measurements into the magical mini calculator found here. The mini calculations are 6 and 11/16 inches x 6 and 13/16 inches. Then as we are measuring and thinking in terms of putting a real pattern here online. We have to remember that every 100 pixels equals one inch. So for convenience we will be rounding out these measurements to 6 inches by 6 and 1/2 inches. Just so our pictures can become evenly calculated for our pattern and photos. 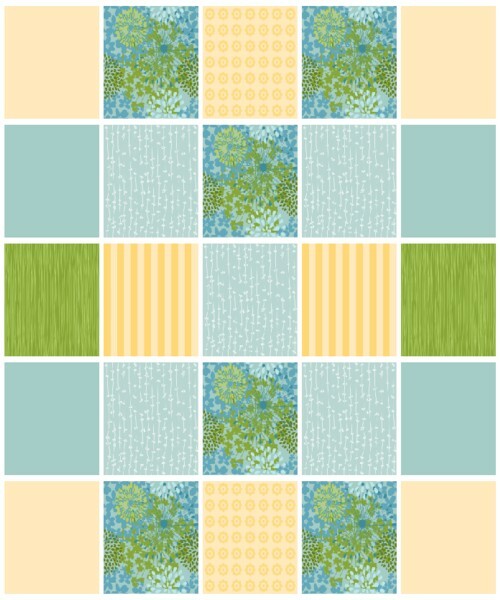 Print out the Dollhouse Bed Comforter Top pattern piece (below) on printable fabric. Let your imagination delve into more ideas to produce this comforter. You could add outlines of thread and a backing to give a quilt like appearance. If applying a backing make sure you cut it the same size as the front. White cloth would work well with this pattern. Stitch the front panel to the back. Stitch along white lines if designing a quilt like sample. To get the exact dimensions you may need to print the pattern using a photo editor. I use ArcSoft PhotoStudio. There are others but this one is very simple to operate and I like simple. Get it here for the best price ever. These pattern pieces are full size. They are the correct dimensions to make a 1:12 scale queen size dollhouse bed comforter. Simply cut out the pattern and apply it to your cloth. There are three (3) pattern pieces provided. Using the below panels cut out 3 strips of cloth. One for the foot and the other two for the sides. Do not stitch at the corners. Leave the corners open. You can either gather and stitch in place, these side and end pieces or measure a piece of pre-gathered trim. The pre-gathered trim being the easiest. If using the pre-gathered trim however measure the exact length of the comforter's sides and end measurements. Cut the trim to those measures leaving a bit extra to turn under to make a clean edge. You can stitch this in place or glue. View doll house accessories - Kitchen. Get What you Need Here .. 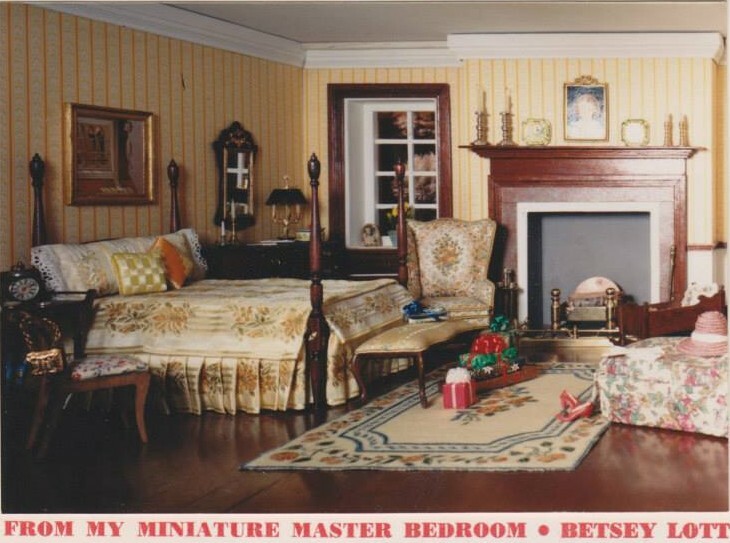 In this block of products you will find helpful suggestions to do the above dollhouse bed craft. 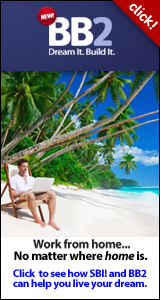 No two people will complete the project outlined above in the same manner. For that reason we have provided a convenient search box to enter your own ideas into. Also the fabric and cartridge types below are generic. The cartridges are there simply to tell you that you can obtain waterproof inkjet cartridges for your printer. As you will have to do a search for your own brand. This is another reason the search box below will prove useful.